According to the Organic Law 15/1999, December 13th, about Protection of Information of Personal Character, we inform that the personal data obtained as consequence of your registration, will be an object of treatment and incorporated into an automated file whose person in charge is DTI – Donation & Transplantation Institute. In conformity with standing legislation, the interested party will be able to exercise the rights of access, rectification, cancellation and opposition directing to this email address: infotpm@tpm.pcb.ub.cat, or by ordinary mail to TPM–DTI Foundation (Parc Científic de Barcelona, Torres R+D+I, Baldiri Reixac, 4-8, 08028 Barcelona – Spain). Also, we inform you that your data will be treated with confidentiality required by the legislation on data protection and security measures required by it. Asia; we have been in Singapore, Korea and especially in China. Only during this last year the Foundation has been in Beijing, Shanghai, Xi’an, Guangzhou, Nanning, Kunming, Hangzhou and the list is to be continued. During the next 25 years we will be present in Africa. The first steps have already been taken through the European Project EMPODaT, and are following by the visits of delegations from African countries in Spain or the invitations our experts receive to visit their hospitals in order to figure out ways of cooperation. Next year, the foundation will celebrate the 25th anniversary of the TPM project, but we still have another 25 years to go and we should try our best to improve. And finally, I would like to thank all of you for your effort and commitment, but most of all for your motivation and passion, which make the difference. 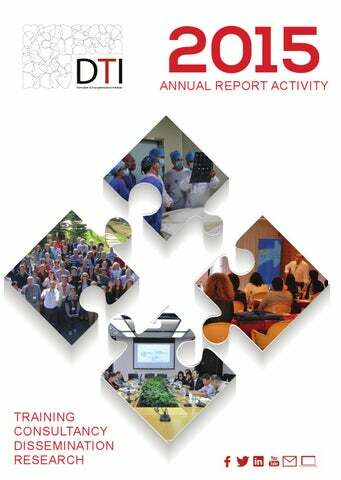 DTI Foundation is a non-profit foundation formed by a group of recognized international experts in donation and transplantation that offers consultancy and training for the implementation of courses and projects in the field of donation and transplantation of organs, tissues and cells. Through our education program TPMÂŽ, more than 10.000 healthcare professionals from 100 countries have been trained since 1991. Furthermore, DTI Foundation cooperates at international level with the SEUSA program, which represent the best of 3 models of donation efficient systems of organs, tissues and cells for transplantation. Our MISSION is to advise and support international public and private entities involved in the health care system to design, develop and strengthen networks, programs, services and/or research projects in the field of donation and transplantation of organs, tissues and cells. Our COMMITMENT is to raise organ donation rate worldwide, to avoid trade and organ trafficking, to improve the quality of life of the society and to support the regenerative medicine. This report contains a summary of the most important activities held in 2015. 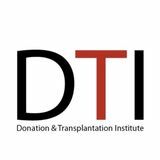 DTI COURSES We consider that training of the healthcare professionals who work in the donation and transplantation field is to an extreme importance for the improvement and the increase of organ donation and transplantation activity worldwide. Lisbon. First edition of Tissue Banking Course. Havana and Santiago de Cuba. Two editions of TPM Intermediate Training courses. Colombia. 4th edition of TPM Intermediate Training Course. Barcelona. 21st edition of TPM International Advanced Course. Slovenia 4th edition of Intermediate Training Course in Transplant Coordination. Bangkok, Thailand. 3rd edition of TPM Intermediate Training Course. Zagreb, Croatia. 2nd edition of TPM intermediate Training Course. Mashhad, Iran. 1st edition of TPM International Symposium. Abu Dhabi. 1st edition of TPM Intermediate Training Course. were attended. Additionally, 22 Chinese professionals were trained by following either the Advanced TPM course in Barcelona or one of the three courses organized in China. Lately, the Donation and Transplantation activity in China shows positive changes. The highlight was reached in January 2015 when finally the use of organs coming from the executed prisoners for transplant purpose came to an end. Kunming. The second edition of the Intermediate Training Course in TPM, organized by the First Peopleâ&#x20AC;&#x2122;s Hospital of Kunming in collaboration with DTI Foundation. Anhui. The 1st edition of the National Training program for Trainers of Organ donation Coordinators; organized by the Organ Donation Administrative Center in China in collaboration with DTI Foundation. During 2015, DTI hosted three delegations of medical professionals coming from different regions in China. The visitors had the opportunity to visit few hospitals in Barcelona and Madrid as well as visiting the headquarters of the Spanish National Transplant Organization (ONT) in Madrid. Yunnan. DTI Foundation participated as team consultant of the First People’s Hospital of Kunming. The experts from DTI, Dr José María Dominguez and Dr Reginaldo Boni, confirmed the diagnosis of brain death donor, and actively advised during the donation process. Wuhan. DTI was invited to attend the Chinese National Transplant Congress. During the congress, the cooperation between China and DTI Foundation was presented. Guangzhou. In addition to the oral communications during the OPO National Congress, TPM-DTI organized the first Alumni meeting with 25 Chinese students. During the ceremony the badges designed for the occasion were distributed. Barcelona. 13th Congress of “Societat Catalana de Trasplantament”. Singapore. 14th Congress of the Asian Society of Transplantation (CAST). Brussels. 17th Congress of the European Society for Organ Transplantation. Croatia. 24th Congress of the European Association of Tissue Banks. Cancun. 13th Latin American and the Caribbean Congress of Transplantation. Seoul. 13th Congress of the International Society for Organ Donation & Procurement. Trinidad and Tobago Since 2010, DTI Fountation is involved in a project for the implementation, development and consolidation of a system for donation and transplantation in T&T. This project is funded by Repsol Foundation. At the end of 2015 were reported 11 living donor and 4 deceased donors from whom benefited 15 patients. Additionally this program was useful to: • Ten former TPM students • The Ministry of Health of the country • The scientific community related to this field The project will continue in 2016 thanks to the continuous support from Repsol Foundation. The next planned activities for 2016 are: • To support the government in order to consolidate the organ donation and transplants system. • To increase and reinforce the network of professionals involved in the system. • To develop a program with real-time monitoring. Dr José Ignacio Sánchez-Miret and Dr Chloë Ballesté attended the VII Congress organized in Algiers. Moreover, during this visit was highly discussed the possibility of collaboration with Spain for the application of an intra-hospital donation system. Dr Chloë Ballesté visited the General Hospital of Yaoundé to evaluate the possibility of starting a transplant program for kidney living donors; in the context of Twining program ISN (International Society of Nephrology) and TTS (The Transplantation Society) together with the Hôpital Charles Nicolle-Tunis and the Hôpital Sahloul-Sousse of Tunisia. The European Committee on Organ Transplantation (CD-P-TO) visited in 2015 the Republic of Belarus to analyse and evaluate the real situation of organ donation and transplantation in the country. The team who visited Belarus were a multidisciplinary team composed by the DTI experts: Dr Francesco Procaccio, Dr Javier Aguirrezabalaga, Dr Entela Kondi and Sr. Estephan Arredondo (who advised and participated during the week). During the whole week the experts actively advised the Belarus professionals and participated in several activities. They visited the Health Care Department and the Practical and Scientific center of the Republic (RSPC) and as well a number of hospitals in the country. In the picture, image from the meeting with the First Deputy, Ministry of Health. At the end of 2015, two medical doctors from University of Ilorin Teaching Hospital, Ilorin Nigeria visited our Foundation with the aim to start the collaboration for the installation of deceased donation program in their hospital. During this stay were organized several meetings and visits in the Hospital Clinic of Barcelona and in the University Hospital of A Coruna. The guests had the opportunity to know different programs of transplantation and organization of organ donation activity in our country. Colombia (Barranquilla) Before the TPM course, we visited the intensive care and urgency department of the Clínica Adela de Char and the Hospital Universitario del Norte with the aim to interview the doctors and nurses. A report with the recommendations to increase the donors’ number in the region was elaborated. Morocco, Lebanon and Sweden. It is addressed to healthcare professionals involved or about to join Organ Donation and Transplantation in Morocco, Egypt and Lebanon and aims at setting the base for a European-Mediterranean Training Model of Specialists in Organ Donation and Transplantation. This may result in the development of safe and quality transplant systems in the Mediterranean area as the training of healthcare professionals is proved to have a positive impact upon organ donation. Lebanon (left), Cairo (right) and Casablanca hosted three International Seminars of the EMPODaT project, with the support of international experts and coordinators of DTI Foundation and the University of Barcelona. Seeding Life DTI Foundation was selected to be a partner for the Seeding Life project, funded by the European Commission. Other partners are the University of Barcelona, the University Hospital of Pirogov (Bulgaria) and the PSCUH of Latvia. The project is based on the training program ETPOD and the main goal is to improve the professional competence, knowledge and abilities in organ donation and transplantation in Bulgaria and Latvia, As well as to strengthen the alignment of Eu directives regarding organ donation and transplantation. The project is addressed to healthcare undergraduates and will have duration of 28 months. During January 2015, the last face-to-face Tissue Banks course was developed. The online part of this Twinning program (funded by EU) was developed during March. ERASMUS + Following the same path as the previous years, DTI Foundation hosted two young students from France and Montenegro as volunteer near the Foundation. During nine months the two students followed a training program in donation and transplantation of organs and tissues and were involved actively in the events of the Foundation. This initiative is part of the Erasmus + program, funded by the European Commission involved in the field of education and youth. Collects and provides information and figures on organ donation and transplantation worldwide since 1998. If you believe you can contribute with information, please contact us. The professionals involved are members of national transplant organizations and ministries of health. IRODaT is a project promoted by DTI Foundation, which is open to new sponsorships.